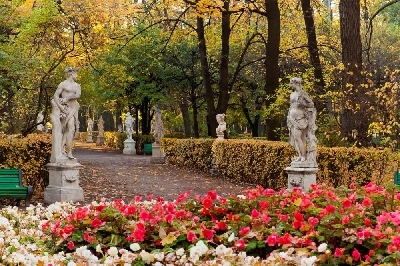 Summer garden is the prominent park ensemble, monument of the garden-park art of the first third of the XVIII century with the wonderful collection of the Italian marble sculpture of the XVII-XIX centuries, located in the very centre of Saint-Petersburg. 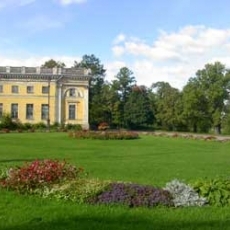 Summer garden – is the great example of the landscape art. 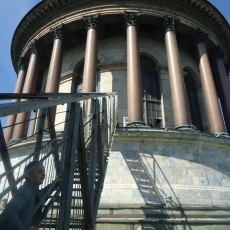 Its shady alleys and wonderful sculptures makes the Summer Garden one of the most popular places for both: tourists, who visit Saint-Petersburg and citizens, who would like to spend some good time here. 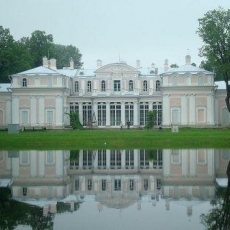 Summer Garden was laid in the first third of the XVIII century by the decree of the Emperor Peter I. 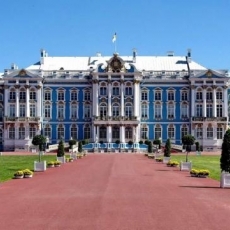 The reasons for its creation originally were quite personal – Peter the Great wanted to laid the garden for himself and personally designed its plan to make it more alike the West European parks of that time. 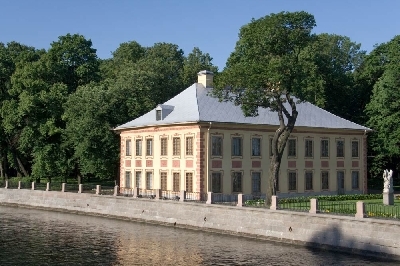 Later, the Summer Garden was supposed to be used as summer residence for the emperor. 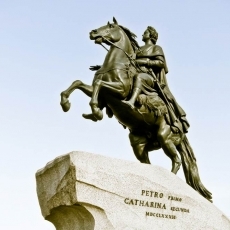 Numerous garden masters and architects (first of them was Ivan Matveev) worked on realization of the Peter’s I desires. 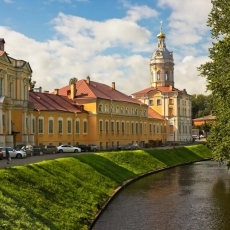 Also, among the architects, who worked on the project of the Summer Garden were D. Trezzini, M. Zemtsov, F. – B. Rastrelli and many other. 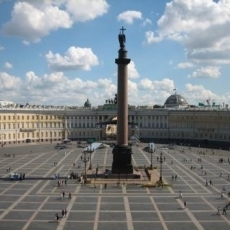 Marble statues for the decoration of the garden were ordered by Peter the Great straight from Italy, where the best Venetian masters worked on them. 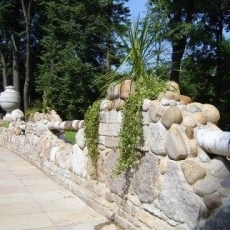 The most notable in the garden is its wonderful fence, which called Nevskaya. 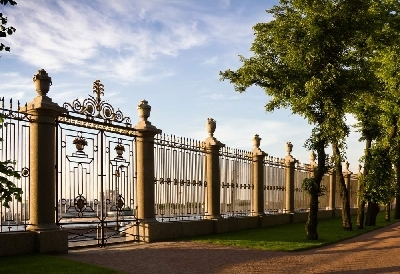 The project of the fence was created by the architect Y. Felten and took him 15 years to realize it, but the beauty of this fence catches the imagination. It is 232 meters of the real art. 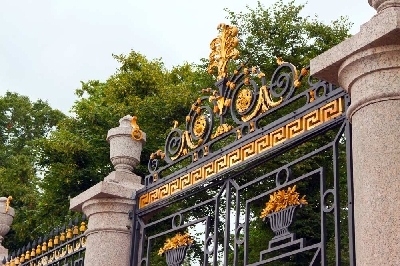 Decorated with bronze and gilt fence, column vases, made of red granite, wonderful carving of the gates – all this completes the image of the Summer Garden and makes it absolutely unforgettable. 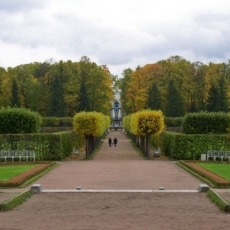 Summer Garden is located in the heart of Saint-Petersburg and is one of the most romantic places in the city. This wonderful ensemble could melt any heart and you can’t stop admiring its sculptures and fountains, especially if you are in company with your loved one. 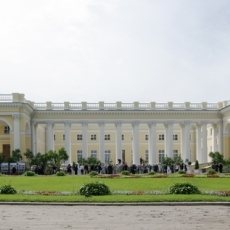 The Summer Garden is the popular place for the dates since its foundation.